From the moment your student is accepted to Franklin & Marshall, he or she becomes part of the F&M family. And so do you! We have gathered all the information you'll need—and then some—to help your thrive in the next four years. You’ve heard over and over again that you have to be involved in your student's education, that your involvement is critical to his or her success. Then, one day, you drop your student off at college, and your role is suddenly less clear. Here at F&M, we welcome you into our family and communicate with you on a regular basis. Given the trust you show in us by sending your children here, we want you to know what’s going on. Parents are encouraged to attend F&M's diverse event offerings. Opportunities to connect with other members of the F&M community occur year round both on campus and in any of F&M's numerous regional chapters. Parents are among F&M's most loyal donors, but they are just as generous with their time. They volunteer to mentor students, come to campus to discuss the challenges and opportunities within their industries, and help us place F&M students in internships and jobs. 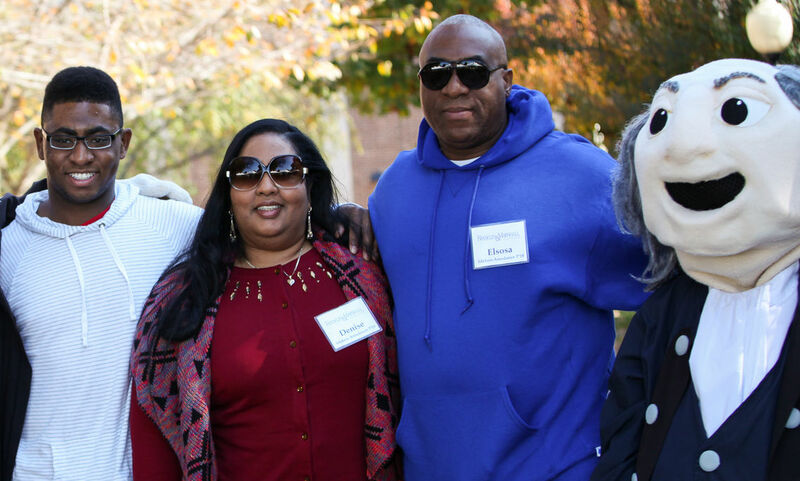 The Franklin & Marshall College Parents Council is a group of prominent and influential parents of current F&M students who are invited by the College to join the council. These members of the Franklin & Marshall community serve as knowledgeable and generous advocates for the mission of the College through engagement, service and advocacy. Volunteer alumni and parents from around the nation serve as ambassadors for the College as part of the Franklin & Marshall Admission Network (FAN), which builds community among past, present and future students and parents of F&M and promotes the benefits of an F&M education to prospective students and their parents.